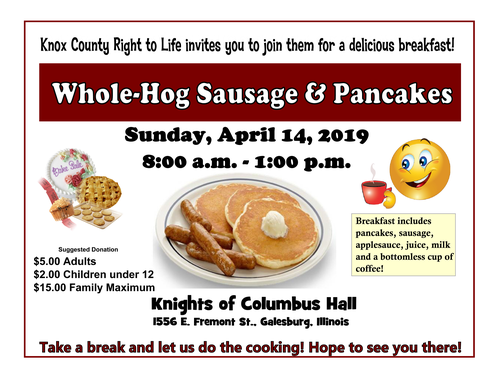 Knox County Right to Life invites you to join them for a delicious breakfast! Breakfast includes pancakes, sausage, applesauce, juice, milk, and bottomless cup of coffee. $5.00 for aduilts, $2.00 for children under 12, and $15.00 family maximum. Take a break and let us do the cooking!